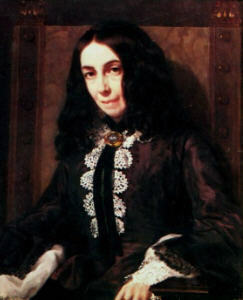 Few literary couples can conjure up the image of the love affair created by Robert Browning and Elizabeth Barrett Browning. Elizabeth suffered a severe spinal injury at age 15, causing her to be confined to bed. To fill the time, she began seriously writing poetry something she had started as a hobby at the tender age of 13. 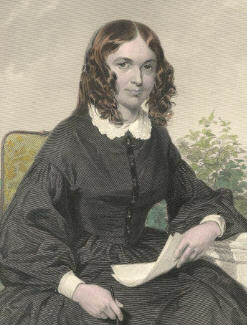 In 1844, she published her first complete book entitled Poems. 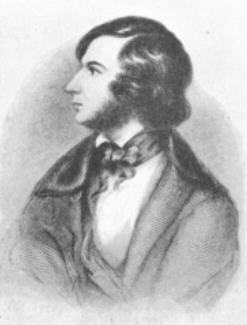 Her work impressed another poet by the name of Robert Browning. He corresponded with Elizabeth and they began a courtship by mail. Eventually they met and fell in love, becoming engaged in 1845. However, the opposition of their union from Elizabeth's father forced them to elope in 1846. They eventually fled to Italy where they lived and worked for 15 years. Their own long romance and the many poems written to one another inspired a great deal of their combined work. 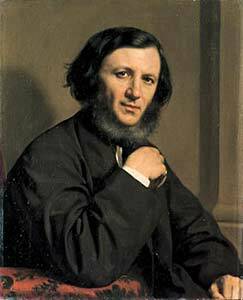 Upon Elizabeth's death in 1861, Browning returned to England where he continued to work until his own death in 1889. Should seem a “cuckoo-song,” as thou dost treat it.